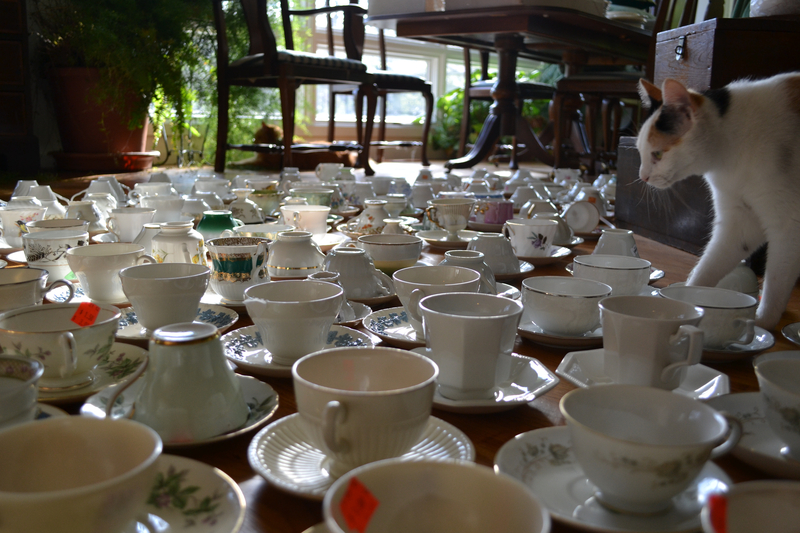 At my mom’s house last week, I was finally able to unpack and inventory all of the teacups that I’ve been gathering for the weddin’. Rather perversely, my entire house would fit into the living room of the St. Louis house. 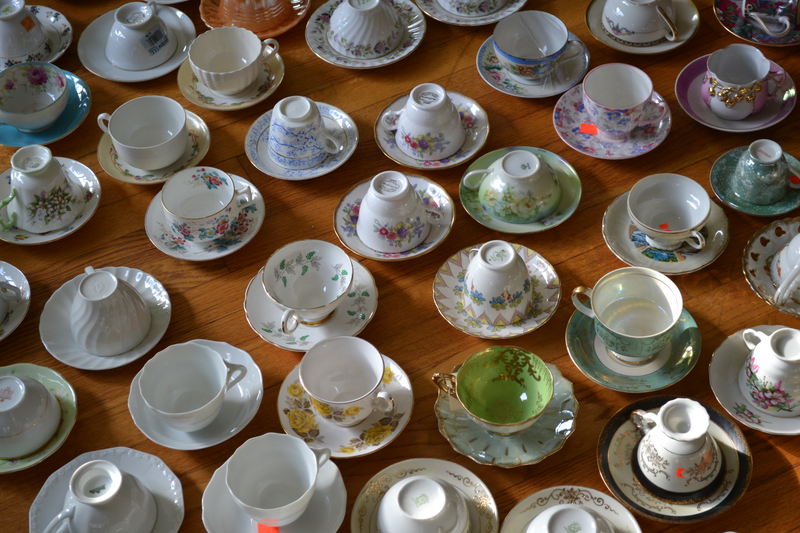 Suburban sprawl has to be good for something—it certainly is good for spreading out 100+ teacups and saucers. I don’t have an exact count, partly because the cats quickly started developing a rather unhealthy level of interest in the sound that bone china makes as it clatters against the floor. Fortunately, china that has made it through the rigors of thrift store handling stands up pretty well to feline frolic. We lost a few minor pieces before I packed everything up again; it was fun, though, to have the floor laid out like an enormous mad tea party. 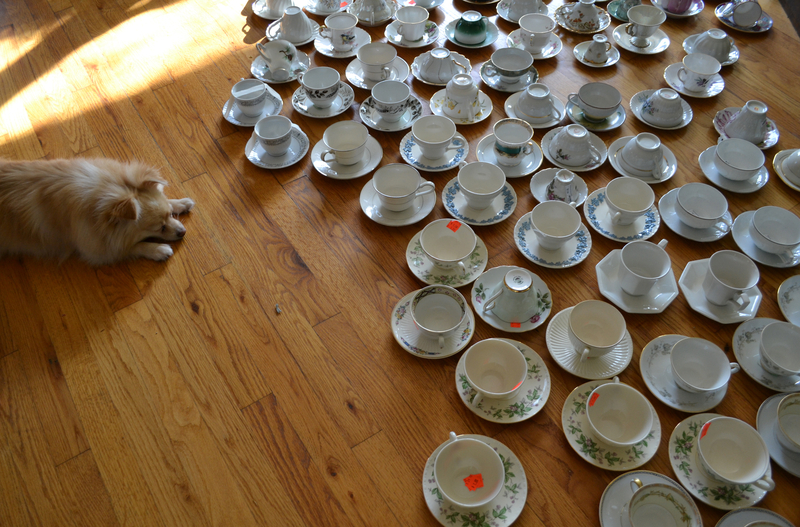 Darwin, though, was confused—and perhaps a little concerned about the advancing lines of the teacup invasion. After two years of seeming rather abstract, the wedding is finally becoming a reality. We visited the venue—a chapel perched on the bluffs above the Mississippi—and listened to the absolutely arresting organ that will be played at our ceremony. We talked about food and flowers. 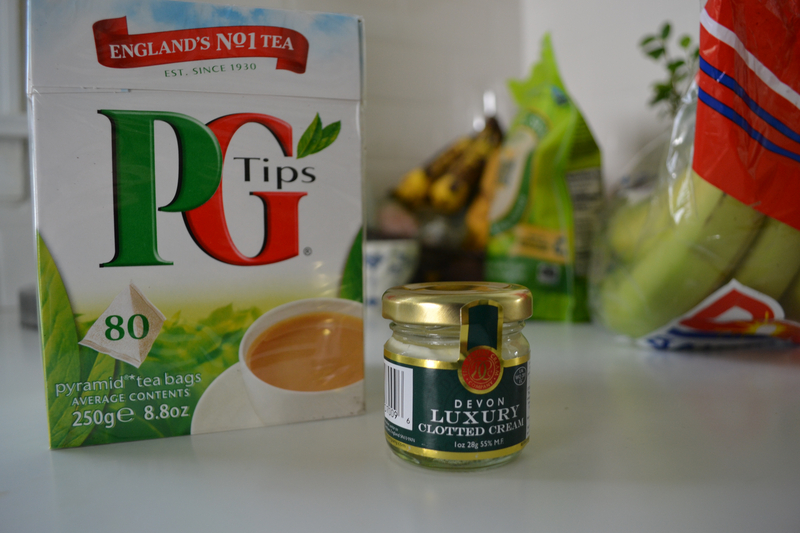 I bought some tea and clotted cream. I’m more than a little wary of shelf-stable dairy products; before we invest in clotted cream for the wedding tea I’m going to try out this little jar that I bought at World Market. Well, I’m trying to try it. I just can’t get over the fact that it’s cream. In a jar. On a shelf.